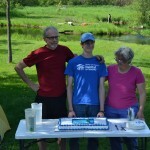 Last weekend was the Hawk Ridge Birdathon, this weekend is a band trip, after that is a canoe trip and then that’s it! June 6th and my year will be done! 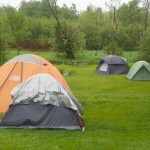 I’m hoping that many will join in and sleep out – anywhere – on June 6th. Let your friends and family know and consider a donation on this page to help those in need and to encourage connections to nature. Every little bit helps! Meanwhile, life is busy. 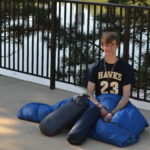 School projects heaped on, prom, new places and people to sleep outside with, and the Hawk Ridge Birdathon. Last Friday night, I joined a Hawk Ridge board member and some other birders for a night under the stars at Indian Point Campground, which was kind enough to let us have the site for free. Thanks, Indian Point Campground! We went on a hike around the campground, which is a nice little spot tucked on a point sticking into the St. Louis River. Our walk took us a very long time because we stopped to examine every new bird species. The highlight of the evening was a Sora, an elusive bird that is heard but seldom seen. When we were almost back to our site, an interesting bird call floated over the woods that oddly, even the experts couldn’t identify at once. We all had a good laugh when we realized it was the peacock from the nearby Lake Superior Zoo! In the morning, Birdathon began. 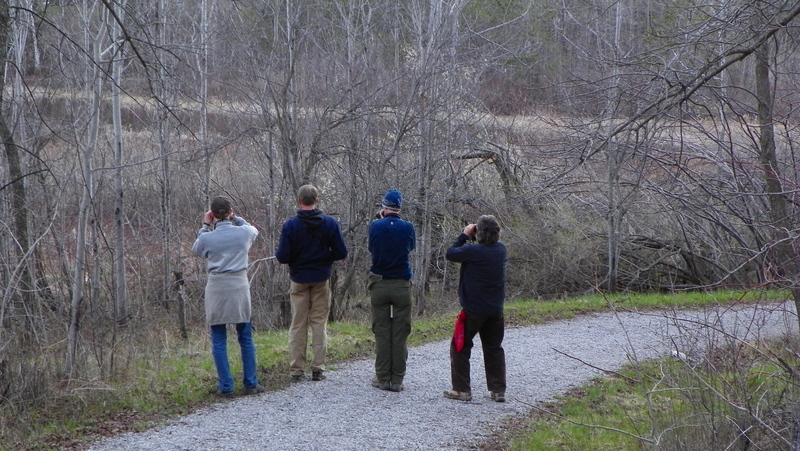 The Hawk Ridge Birdathon is what is commonly called a Big Day. 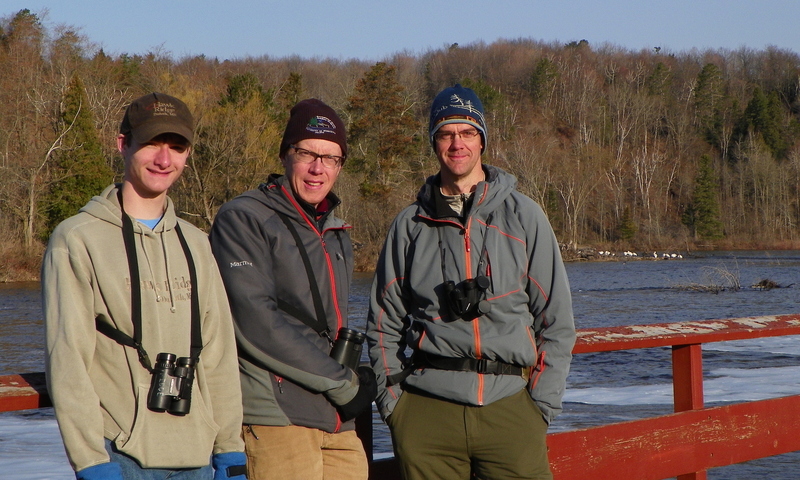 Birders set out in teams to see how many species they can see and hear in one day. 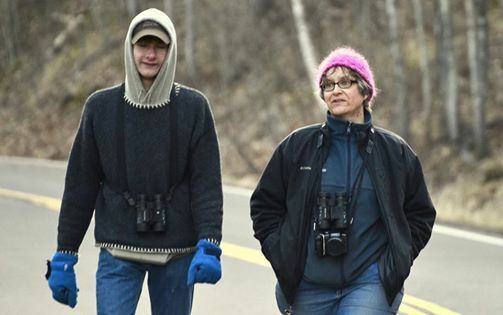 The event is held as a fundraiser for Hawk Ridge as birders get their friends and relatives to pledge money for every species they see. 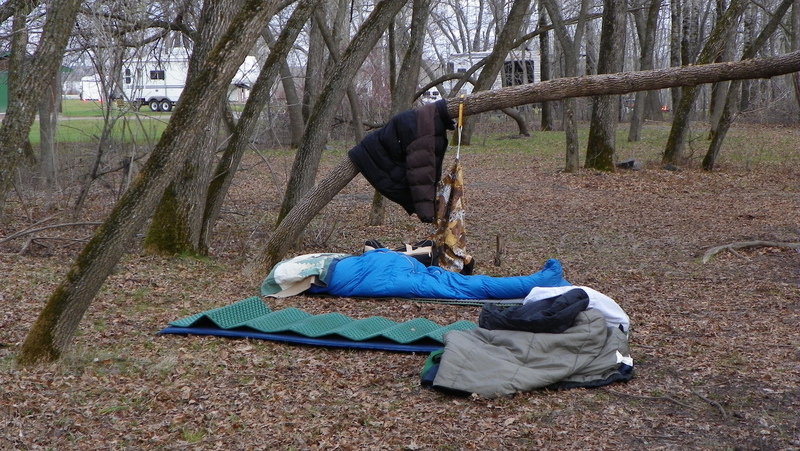 We rose at four thirty in the morning, packed up our sleeping bags, and left at once. Tim and Bryan, my mom and I drove a few minutes up the river, where we parked the car and went for a tromp in the woods. The sun had yet to rise; only a soft, grey light illuminated the woodland and water. It was cold, but we had a blast anyway. We saw White Pelicans looking drowsily up from the opposite bank of the stream, plenty of Chipping Sparrows and chickadees, some warblers foraging on the ground, and so many more that I completely lost track. We heard even more kinds – Song Sparrows, Ovenbirds, and a host of others. After two hours, we had identified 37 different species, but unfortunately, it was time for my mom and I to head home so I could take a nap and get ready for my high school prom. 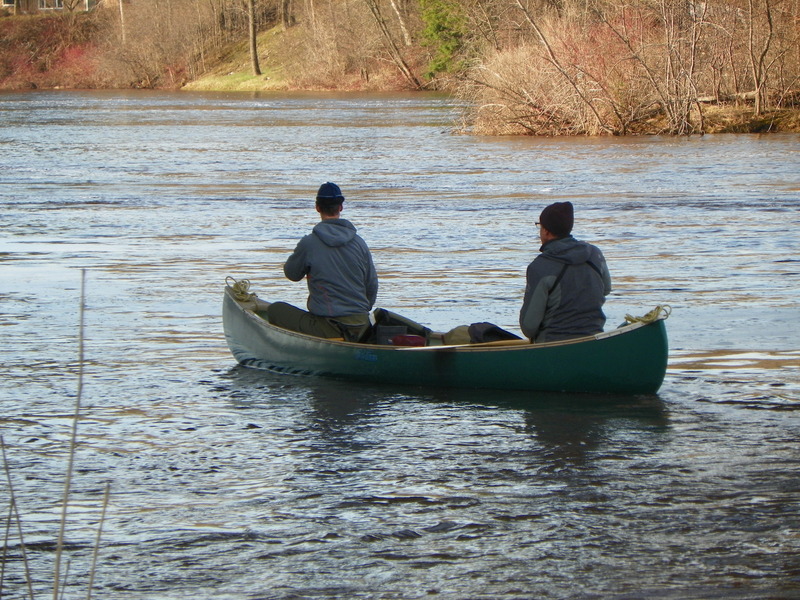 We waved to Tim and Bryan as they lowered a canoe into the water and paddled off into the sunlit morning. Bryan and Tim take off. So many things to do and places to go in this wonderful world of ours! Thanks to Hawk Ridge for this great opportunity to learn and have fun outside. Thanks for reading, and don’t forget to tell your friends to sleep outside on June 6th and donate to Habitat or the Ridge. Remember, Hawk Ridge has a $1,000 donation challenge out to us! Mom and I enjoying the outdoors together, despite the chill in the air! Only 1 1/2 weeks to go, Rudy! I just made a donation in memory of your grandma. She loved being outdoors and she loved birds. She would have been on that Birdathon with you! By the way, great picture of you and your mom!